Oilcloth wallet, 4x9 with Magnetic closure, pockets for cash and slots for credit cards and ID. 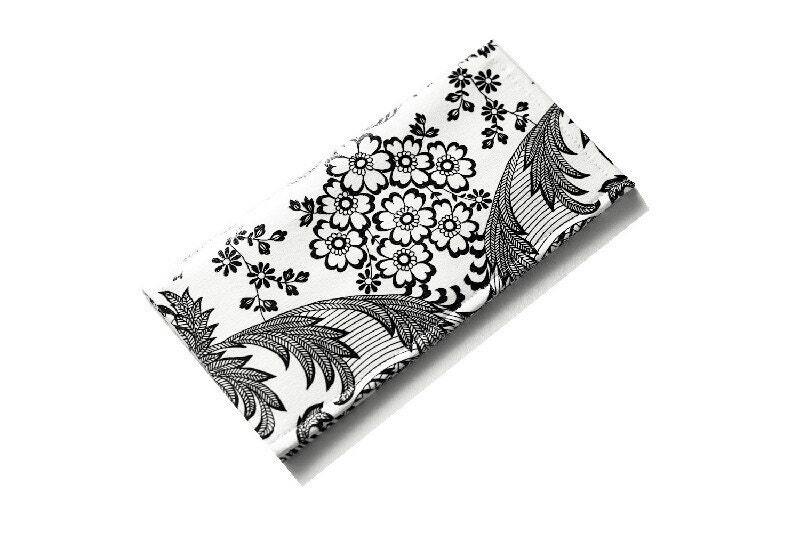 Made of Oilcloth in Vintage Paradise Lace Floral Pattern, Black on White background. Handmade in the US. 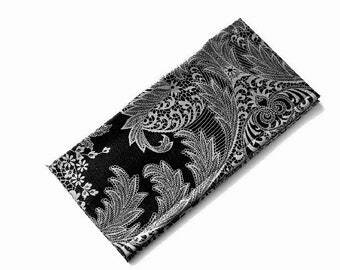 Can be used as Wallet or Clutch.